†Irving Langmuir Fellow of the American Scandinavian Foundation, at present at the Physics Institute of the University, Uppsala, Sweden. Wave-length lists are presented to facilitate identification of lines in the extreme ultraviolet. These lists are based on published results from this and other laboratories and on some unpublished results from this laboratory. One table contains lines likely to be present in gas discharges, another gives the lines arising from the more common constituents of glass, and a third lists the principal line or group of lines of each of the first five spectra of a number of elements, where such line or group of lines is to be found in the extreme ultraviolet. 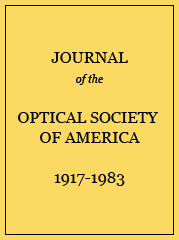 While every effort has been made to select lines on a self-consistent scale of wavelengths, it is emphasized that these lines should not be used indiscriminately as standards of wave-length. Extreme ultraviolet lines from gas discharges. Extreme ultraviolet lines of boron, sodium, and silicon.